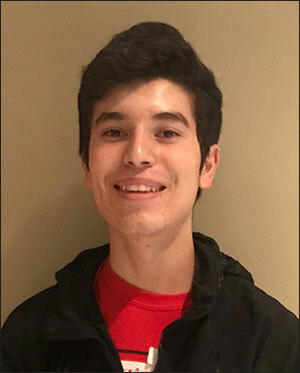 Eduardo Guaderrama, a member of the Friona High School Choir will perform with the Texas All-State Small School Choir in San Antonio, Saturday, February 16, 2019 at the Henry B. Gonzalez Convention Center as part of the 2019 Texas Music Educators Association Clinic/Convention. He was chosen for this prestigious honor through a competitive process held this year across the state at District, Region, and Area levels. Eduardo is a student of Dr. Cloyce Kuhnert and sings at school under the direction of Landree Steadman who is a member of the Texas Music Educators Association, a 19,000+ member organization headquartered in Austin. This is Eduardo’s first time to perform as a member of a TMEA All-State organization. Eduardo is the son of Rosa Salazar. High school students selected to perform in the All-State concerts have competed through auditions to qualify at the state level. All-State is the highest honor a Texas music student can receive. 1,780 students are selected through a process that began with over 72,900 students from around the state vying for this honor to perform in one of 15 ensembles (band, orchestras, and choirs). Texas Music Educators Association sponsors the Texas All-State competition. This competitive process begins throughout the state in auditions hosted by 33 TMEA Regions. Individual musicians perform selected music for a panel of judges who rank each instrument or voice part. From this ranking, a select group of musicians advances from their Region to compete against musicians from other areas in eight TMEA Area competitions. The highest-ranking musicians judged at the TMEA Area competitions qualify to perform in a TMEA All-State music group. Only the top 2.4% of musicians who initially audition become All-State musicians. All-State performances will be held as part of the annual TMEA Clinic/Convention, Feb. 13-16, 2019. Over 29,000 people from Texas and around the world will attend over 300 workshops, 100 performances, and visit over 1,400 exhibit booths at this nation’s largest music educators convention.